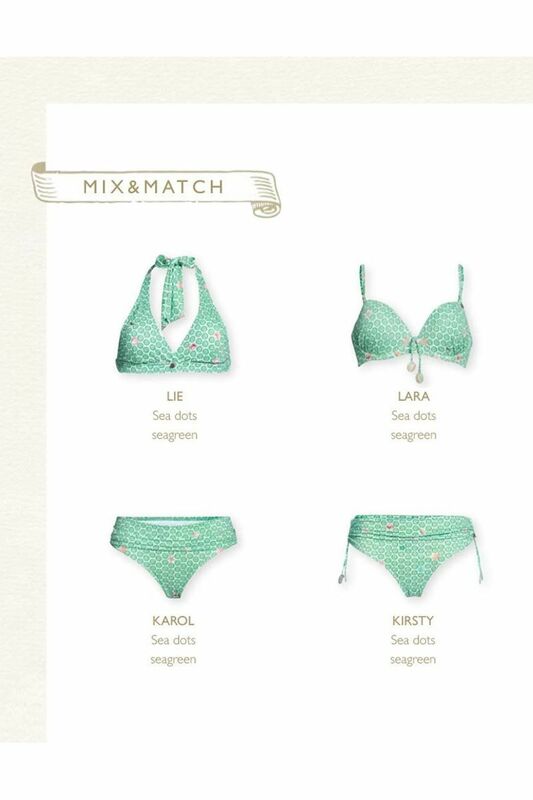 This light green bikini top with under-wire has moulded cups for a flattering silhouette and decorative laces with shells on the front. 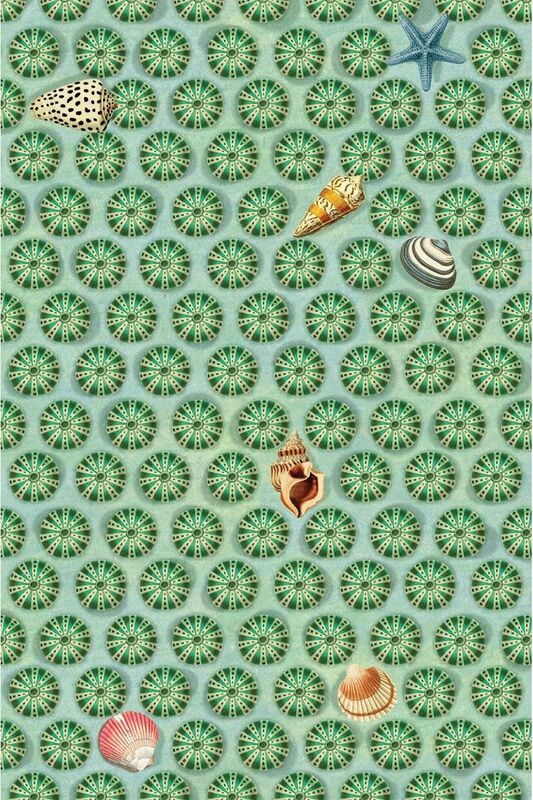 The cheerful print shows a rich repeating pattern of underwater plants with some contrasting shells. 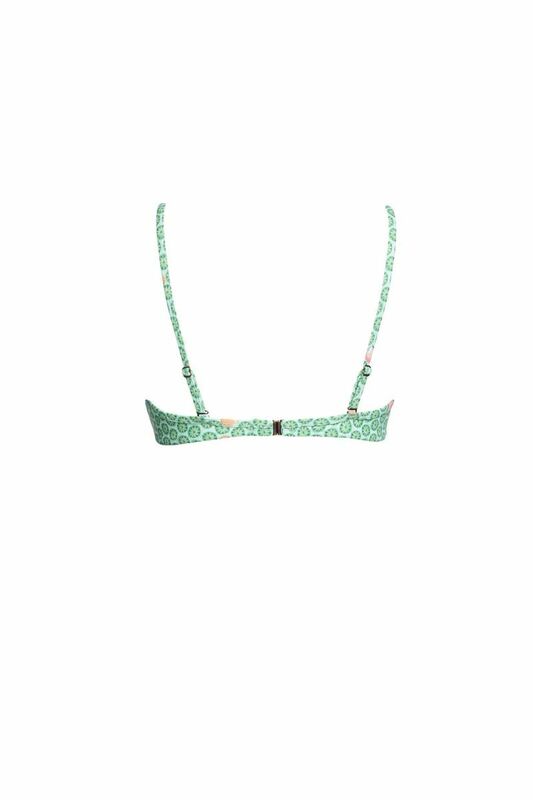 The shoulder straps can be worn straight and diagonally.